The federal ethics commissioner will be reviewing the files of 27 cabinet members as a result of Prime Minister Stephen Harper&apos;s shakeup. Mary Dawson&apos;s office will take a look at all of the new cabinet appointees and anyone who got a new portfolio in the 39-member inner circle on Monday. 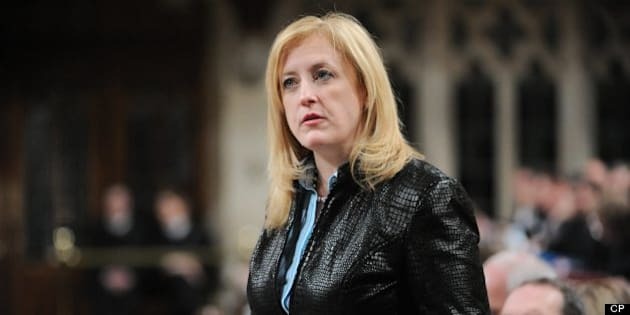 The examinations began before the new cabinet was announced as Lisa Raitt, member of Parliament for Halton, Ont., contacted the Office of the Conflict of Interest and Ethics Commissioner Monday morning prior to being sworn in as transport minister. "We can confirm that Ms. Raitt contacted the office yesterday and spoke briefly with an adviser," said Jocelyne Brisebois, a communications officer for Office of the Conflict of Interest and Ethics Commissioner, in a written statement to CBC News on Tuesday. Raitt&apos;s common-law husband, Bruce Wood, is president and CEO of the Hamilton Port Authority — one of the largest full service ports on the Great Lakes. All public office holders are expected to comply with the Conflict of Interest Act which lays out a set of rules they must follow to avoid finding themselves in a conflict of interest. "We are looking at her file in light of her new responsibilities to determine what measures may be necessary to ensure her ongoing compliance with the Conflict of Interest Act," Brisebois said. This was not Raitt&apos;s first contact with the office of the federal ethics commissioner. As minister of labour, Raitt "had regulatory responsibilities with respect to Canadian Port Authorities under the Canada Labour Code," Ashley Kelahear, Raitt&apos;s press secretary, told CBC News in an email on Tuesday. In 2010, Dawson concluded Raitt had broken no rules following three official compaints against her. At issue were reports that the Toronto Port Authority, of which Raitt was the president and chief executive officer prior to being elected into office, helped promote a fundraiser for her. The fundraiser was organized with the help of a lobbyist who later said Raitt was prepared to "push" their project through. "The minister contacted the Office of the Ethics Commissioner Monday morning prior to her taking on new duties," Kelahear confirmed. However, Raitt will not be the only cabinet member whose new duties will come under the microscope. Dawson&apos;s office "will be reviewing the files of all ministers and parliamentary secretaries who were newly appointed or changed responsibilities to ensure their ongoing compliance with the Conflict of Interest Act," Brisebois confirmed. In other words, the federal watchdog&apos;s office will be reviewing the files of 27 of the 39 members of cabinet, as 12 did not see their ministerial duties change. While parliamentary secretaries will be named "in due course", once they are appointed, the office for the federal ethics watchdog will be reviewing their files too. Brisebois said the office encourages all public office holders to contact them if they have any questions about their new duties.